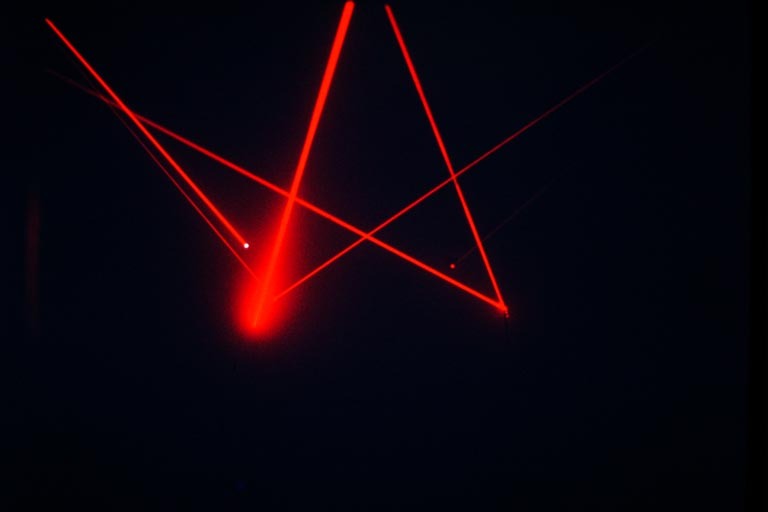 1968 Sculpture Minus Object, the first ever 3-D laser beam installation. Gallery of Modern Art, Washington, DC. Curated by Walter Hopps and Renato Danese. What really prompted me to try this was the possibility of reversing the proposition by which we normally view sculpture. We normally have some kind of mass or configuration, which when it is illuminated, we can perceive this is obviously some kind of an object regardless of its medium. What I did I think was to reverse this proposition. I introduced incidental matter into the atmosphere and project light through it. The resulting configuration would be the work of art itself." Rockne Krebs died in 2011 in Washington, D.C., where he had lived most of his life since the early 1960's, and in the Northern Neck, Virginia. Krebs was widely recognized for his monumental sculptural installations with laser light, a new technology when he began to explore its potential for art in the 1960's. 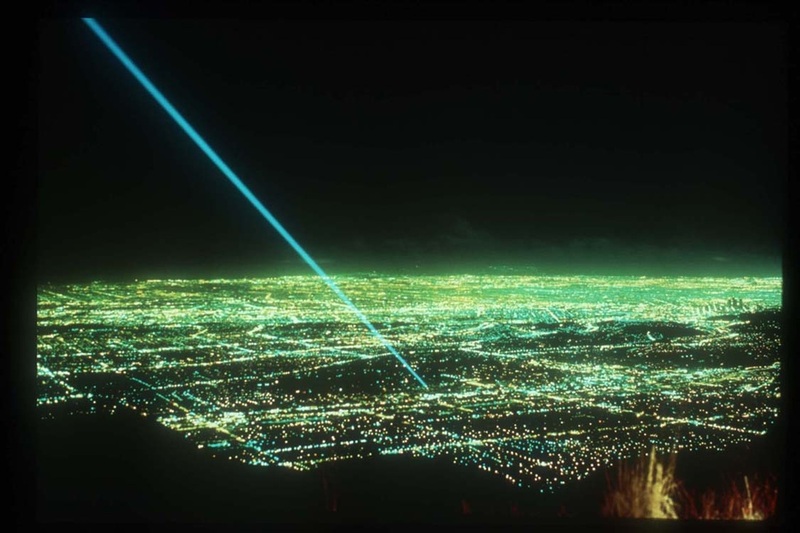 Krebs created the vast majority of his laser works for specific outdoor locations. Some of his most important installations were on the National Mall in Washington, D.C., at the Kennedy Space Center, the Philadelphia Museum of Art, the Walker Art Center in Minneapolis, and a line of laser light from Mt. Wilson in California (where the universe was discovered at the observatory in the 1920's) to the campus of the California Institute of Technology. 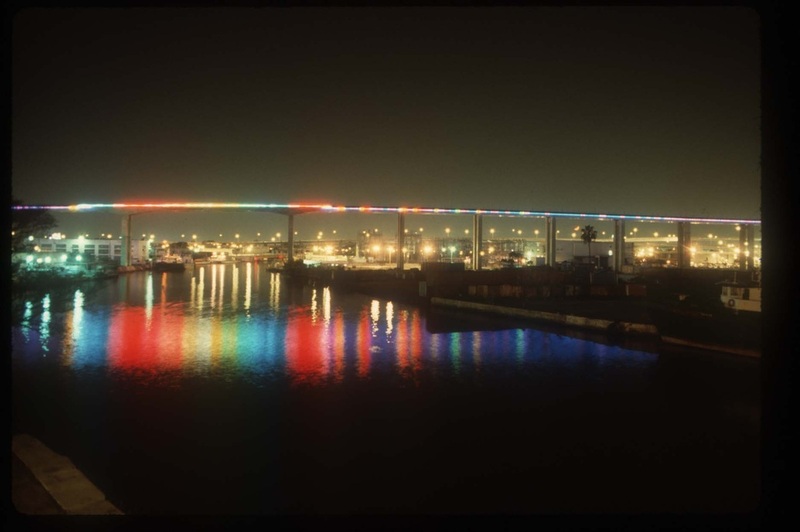 Krebs also worked in a variety of media, including neon (in installations on large bridges in Miami, Florida and Shreveport, Louisiana), sunlight, and camera obscura. 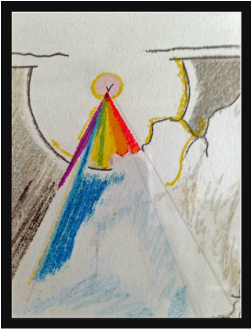 A solar piece using glass prisms in the Omni International building in downtown Atlanta was calibrated to the changing angle of the sun so that on the equinoxes an eye (based on that of his daughter Heather) appeared on the wall of the building's atrium. The artist also created a number of sculptures that combined prisms. 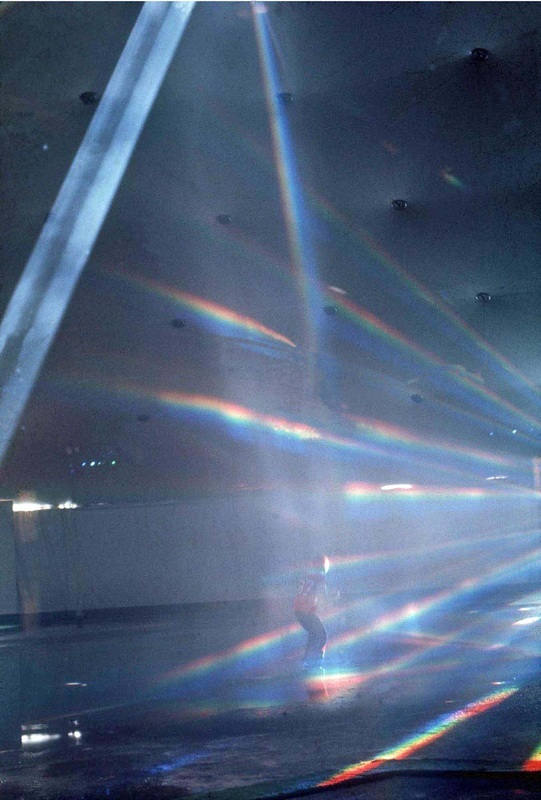 One of his camera obscura installations inspired an exhibition of light, film and video environments at the Walker Art Center organized by then Director Martin Friedman. Krebs also created major public works for the Miami International Airport and for the General Services Administration in Topeka, Kansas. 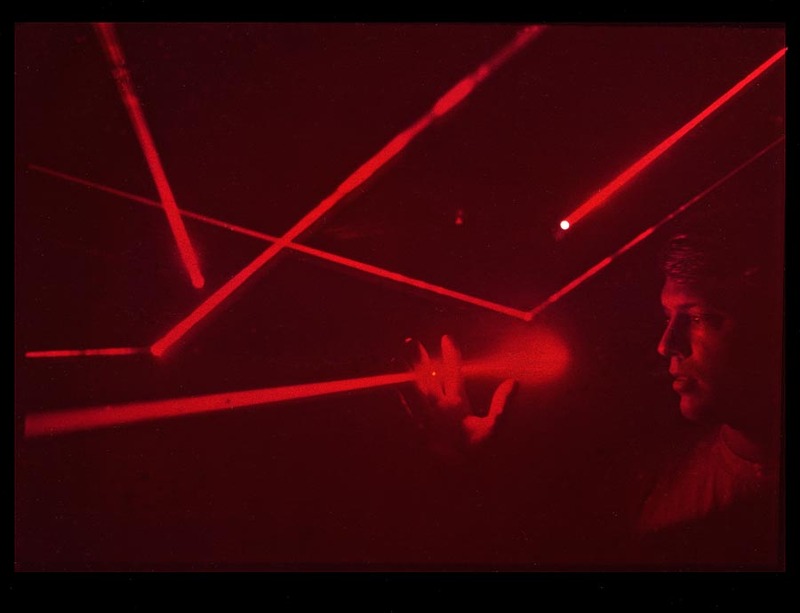 One of Krebs' early innovative installations was created for the Corcoran Gallery of Art in Washington, D.C., including a laser and sunlight piece, "Ra", in which a fog machine made the laser light more visible. 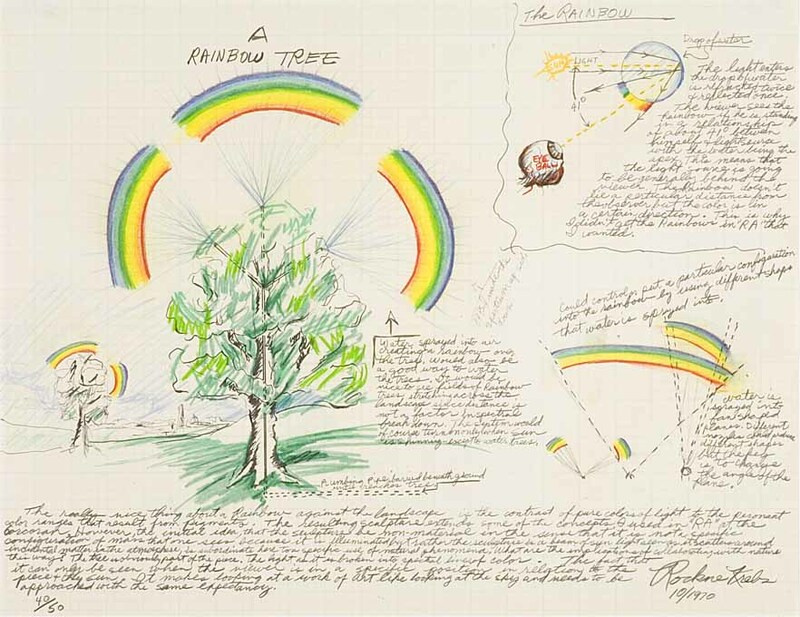 In addition to a National Endowment for the Arts Fellowship in 1970, he received a Guggenheim Foundation Fellowship in 1972 to focus on drawing, and this medium became an important creative exploration for him for the rest of his life, including his last years. A retrospective of his drawings was shown at Caltech, the Cincinnati Contemporary Art Center, and at the Corcoran Gallery of Art in the 1980's. During the 1960's and 1970's Krebs showed his work at the respected Jefferson Place Gallery in Washington, DC. Krebs became deeply involved in artist's issues in Washington, working with an organization that approached important museums in the city to encourage them to show more work by artists in the area. He was one of the founding board members of the Washington Project on the Arts, which was founded to provide more exhibition space for area artists. Los Angeles County Museum of Art. In this research period he worked with the engineers at Hewlett Packard. 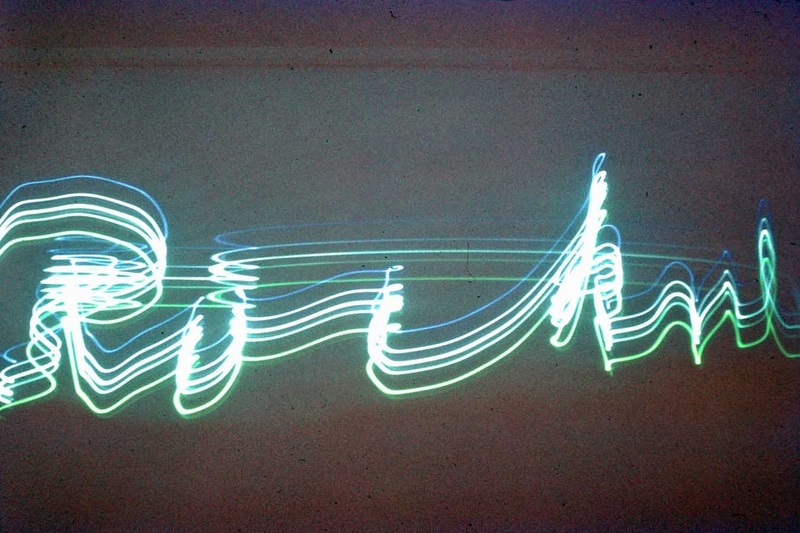 In 1974 he was the first artist to create a work with digital memory that could project words or moving images in laser light. His interest in technology and science led to a lifelong friendship with Philip M. Smith, Science Advisor to President Carter and, later, Director of the National Academy of Sciences. Krebs was born in Kansas City, Missouri, and received his B.F.A. in Sculpture from the University of Kansas. Philip M. Smith recently made a gift of a number of the artists' finest drawings and sculptures to the Spencer Museum of Art. Krebs is also represented in the collections of other important art institutions. A book on his art and its key role in the rise of art and technology is being written by Jay Belloli, a curator who worked with the artist on a number of laser installations and exhibitions. Public Art & the Public Purse, Miami. Sun Dog, 1976. Solar and laser installations, National Endowment for the Arts, for the U.S. Bicentennial Expo Science and Technology, Kennedy Space Center, Cape Canaveral, FL. Anonymous, the first ever laser scanning device with digital memory, 1974. Projected Images, Walker Art Center, Minneapolis, MN.